BMC has already got the below safety equipment’s to guard along the coast of famous yet having more number of Drowning cases beaches in Mumbai which are Juhu Beach, Versova which is adjacent and connected to juhu, Gorai & Aksa at Western Suburbs like Malad and Borivali (Just Couple of Stations to Andheri) and also for South Mumbai prime beaches like Dadar Chowpatty and Girgaum beach. Below safety methods and equipment’s will be places at nearest fire stations and around beaches with watch towers and soon the pending remaining permissions to get Watch towers will also be done.Fire fighters and other authorities have been trained to use this life saving tools during emergency at all the above and few other connected rocky sea shores like Marine drive, Bandra Bandstand too. 18 Number each of Rescue Tubes, Ropes and Personal Flotation Devices. Total of 9 each Rechargeable Torches and Surf Rescue Boats. 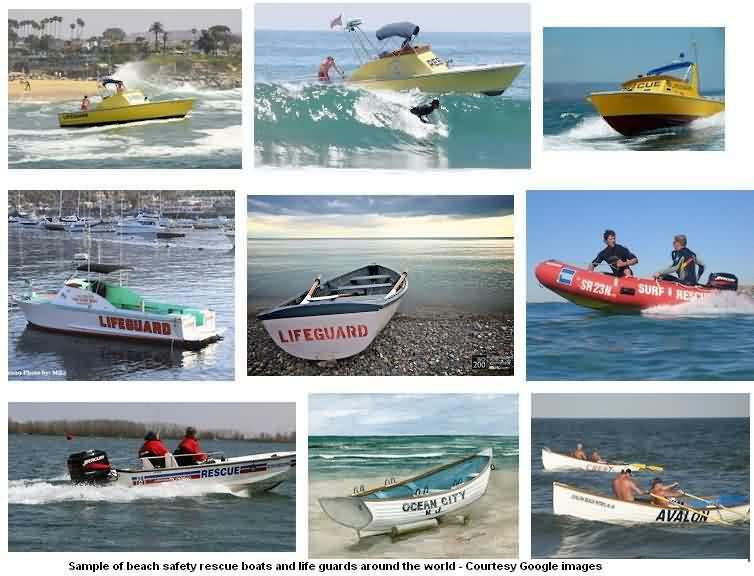 7 each Semi Inflated boats, Jet Skies, Beach Watchtowers and Beach Lifeguard Chairs. In last 2 years, below number of drowning cases happened due to non-safe beach currents and high tides during monsoon, without guardians or equipment’s and tools to save and non-alert citizen who don’t follow the safety instructions or take it too casually. In May and June 2013 two different cases of Drowning at Aksa beach were reported by Sea Guardians and NGO who use to help in such incidents and during Ganesha visarjan days. Six residents of Chembur and Mankhurd during July 2014. 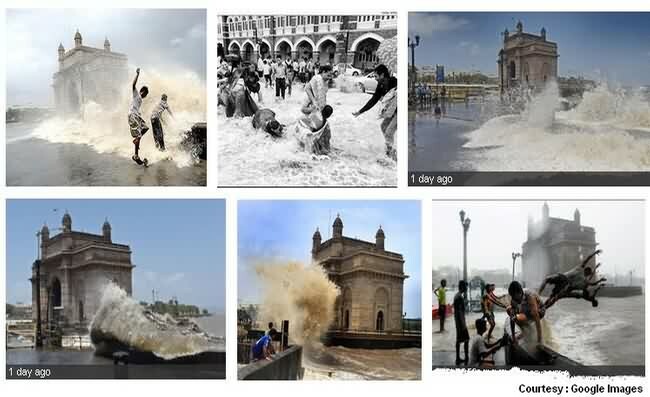 One rescued and one dead at marine drive during June 2014 monsoon days. Again in July 2014, young guys at age 26 Drowned at Aksa Dana Pani beach. 6 Drowned at Murud beach near Mumbai in July 2014. Elderly lady fall of prey to big waves on 14th July 2014 at marine drive. Not just monsoon, October 2014 also observed a beach drowning at Juhu beach with body found at adjacent Versova beach. Like as said don’t drink and drive, Do not Drink and Swim at beaches. Always follow and listen to local fisherman when they says a particular beach or location of beach is unsafe with currents / or is steep deep. Beach side instructions board are key to safety. Low tides are worst then High tides, they will pull you inside instead of throwing you out when drowning. Never jump inside alone and without informing friends and parents etc around with you. Have your safety jackets with you if you have and be a smart and pro swimmer. Ask vendors and lifeguards about beach currents and also get information about flat sand beach or steep deep locations. For monsoon days safety, Keep note of yearly listed high tide days. If you are exploring some of far north Mumbai beaches in thane / palghar districts like Rajouri, Kalamb and Arnala then keep handy Vasai Virar helplines. Fire Brigades Helpline Numbers : 108, 101. All Fire brigades helpline.